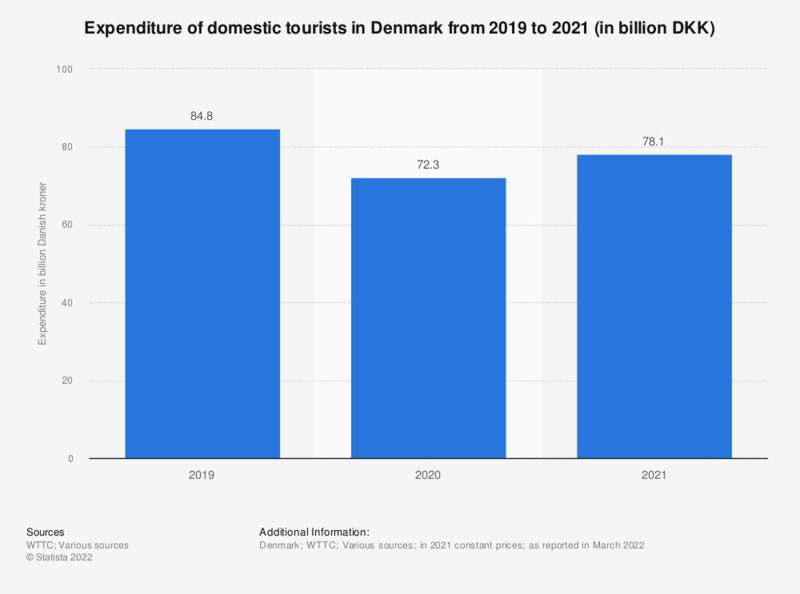 This statistic presents the domestic tourism expenditure in Denmark from 2012 to 2018, with a forecast for 2028. Over this period, the expenditure of domestic tourists in Denmark has increased, reaching 66.7 billion Danish kroner in 2017. This figure is estimated to rise to around 69 billion kroner in 2018 and to continue rising over the next ten years. Everything On "Tourism in Denmark" in One Document: Edited and Divided into Handy Chapters. Including Detailed References.